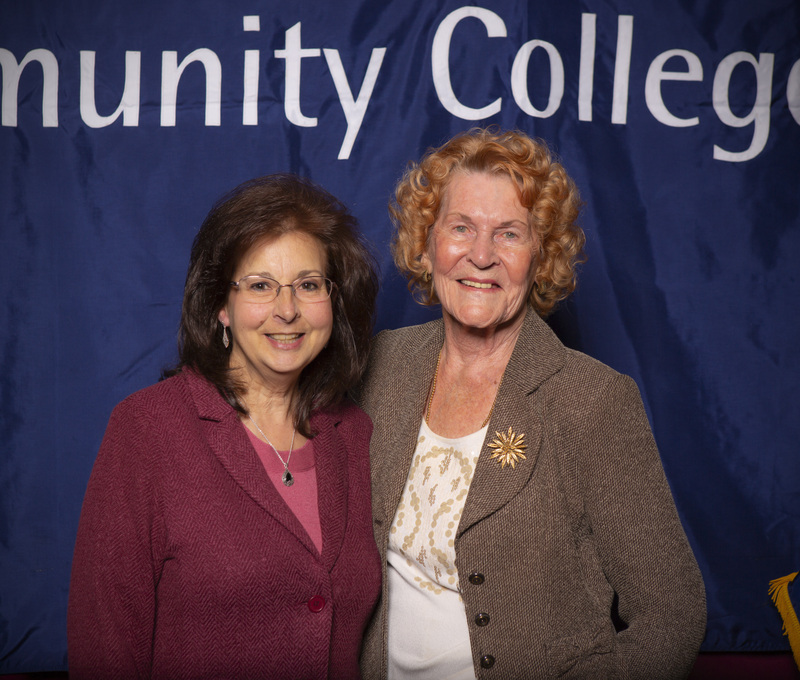 Re-elected trustee Roseanne DiMaria and newly elected trustee Joan Flynn were sworn in as members of the Macomb Community College Board of Trustees on Wednesday, Jan. 16. They were elected during the Nov. 6, 2018, general election and join the college’s seven-member board of trustees. DiMaria was sworn in by Judge William Hackel III, Macomb County 42nd New Baltimore District Court. She has served on the college’s board since 1999, is a retired surgical technician and a resident of Eastpointe. Flynn was sworn in by the Honorable James R. Fouts, mayor of the City of Warren. She has served as community outreach coordinator for Warren for the past eight years and also hosts Life is Good and Senior Report from Joan on the city’s TV station. She has served on the Macomb County Community Mental Health Board for 19 years. Flynn served on the Macomb County Board of Commissioners for 18 years prior to retiring in 2011, and she was employed by General Dynamics Land Systems for 18 years. She earned an associate degree from Macomb Community College and a bachelor’s degree from Oakland University. The board also held their organizational meeting on Jan. 16, electing officers to serve for the upcoming two years. Katherine Bracey Lorenzo, Clinton Township, was elected as chair, having previously served as secretary. A member of the college’s board since 2017, she is a Macomb Community College professor emeritus of psychology, having served more than 35 years as an administrator and faculty member at the college. Frank Cusumano, Macomb Township, was re-elected as vice chair. He has been a member of the college’s board since 2012 and is a licensed attorney practicing primarily in Macomb County. Kristi Dean, Clinton Township, was elected as secretary. Dean has been a member of the college’s board since 2017 and is a data manager with Blue Cross Blue Shield of Michigan. Roseanne DiMaria, Eastpointe, was re- elected as treasurer, an office she has held since 2012. Trustees Jennifer Haase, Richmond, and Vince Viviano, Shelby Township, round out the seven-member board. Macomb Community College Trustees are elected through a nonpartisan, countywide election and serve six-year terms without compensation. The board sets fiscal and operational policy, and serves as a direct link between the college and community. Re-elected trustee Roseanne DiMaria (left)) and newly elected trustee Joan Flynn were sworn in as members of the Macomb Community College Board of Trustees on Wednesday, Jan. 16.